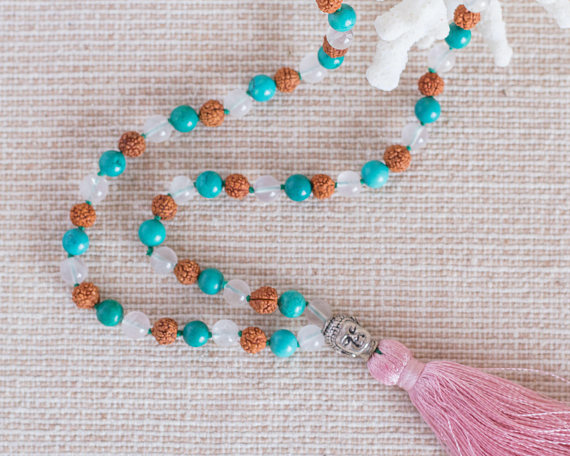 The Stay Majestic Mala has 108 prayer beads of beautiful Turquoise, Rudraksha and clear Quartz beads. 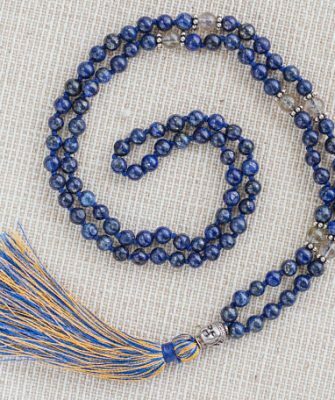 A handmade silk tassel is attached to the large main silver bead, Buddha’s head, known as the Guru bead. This powerful semi precious stones combo is the perfect accessory to keep you always sparkling, even in a little uncomfortable situations. It will help you focus always on what really matters- appreciating the miracle of being alive and being yourself! 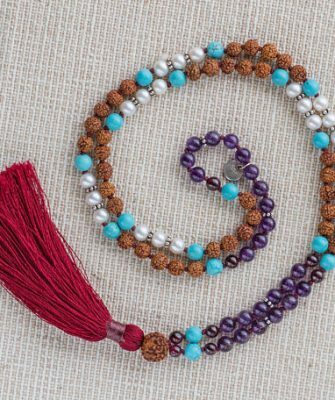 Rudraksha seeds are the original Vedic beads of power worn by the Rishis since times immemorial on their path to enlightment. 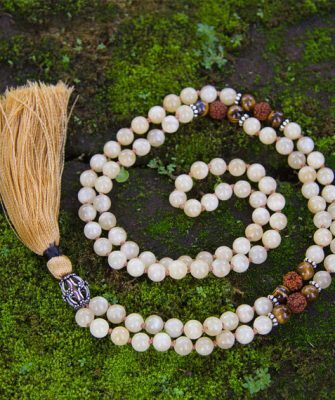 The Rudraksha tree is a large evergeen which grows in the foothills of the Himalayas and the central area of Nepal. 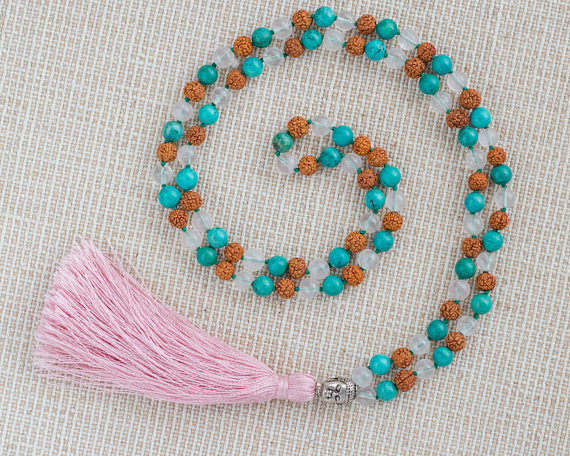 Rudraksha seeds have always been worn for good health, awakening the Kundalini and help increase self power and self love. Quartz is the most powerful healing and energy amplifier on the planet because of its unique crystalline form. 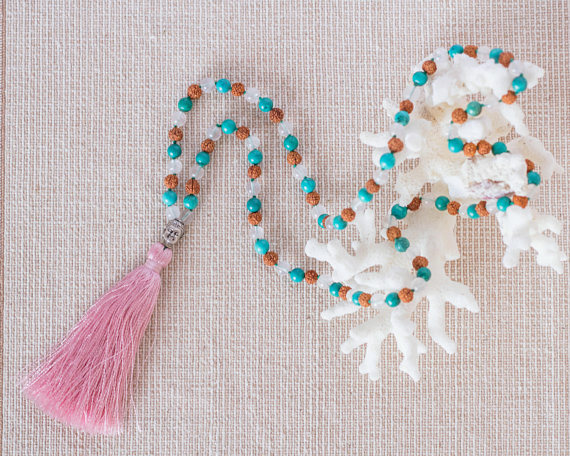 At a spiritual level, the crystal raises energy to the highest possible level! 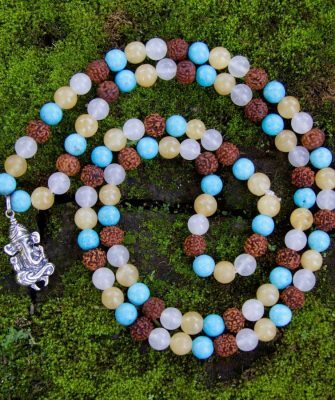 Quartz harmonizes all chakras and aligns the subtle bodies. 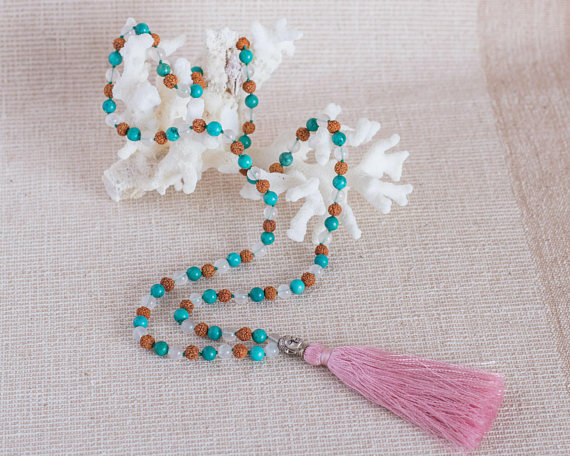 Tibetan Green Turquoise will help you always speak your truth and make powerful choices that resonate with your highest purpose. 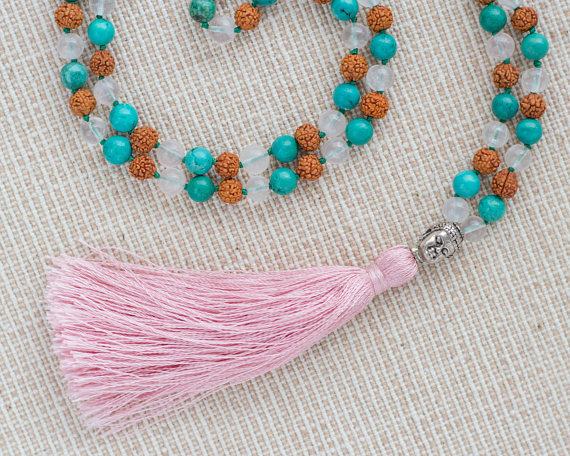 The 100% Silver sterling Buddha Head Guru Bead represents wisdom, along with the serene smile of the face symbolizing the Buddha’s peaceful and calm nature. 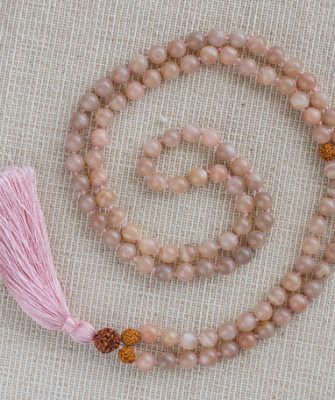 The Mala measures 42 cm.